Moldovan citizens who were kept hostages in Afghanistan get stuck in Moscow for election campaign of Igor Dodon. It has been said by Andrian Candu who asked the head of state to stop this mockery. Parliament Speaker insisted those are organizing this PR maneuver to be held accountable to the law. Moldovan Delegation of Foreign Ministry failed to contact with the Moldovan ex-hostages. On a post on Facebook, Parliament Speaker accused President Igor Dodon of controlling the ex-hostages so that he will promote himself in front of camera after two days of visit to Germany. "Everything we see is an action of visual power of citizen Dodon Igor, I can't call him President", wrote Candu. 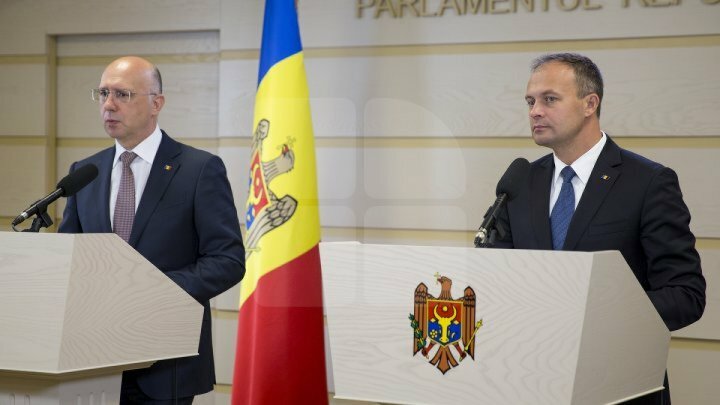 Moreover, head of Legislature asked Dodon to halt his lies, to reveal this case which shows his cynicism and the Moldovans matter little to him, to point out great price he paid for his own image. Chisinau officials who went to Moscow determined that the Moldovan citizens are not in the custody of the Russian authorities, but a non-governmental organization, and it is not clear where it is. Andrian Candu said that the NGO would belong to Igor Ceaika, the son of the General Prosecutor of Russia. He is the co-chair of the Delovaia Rossia Association, a protector for the projects promoted by the Kremlin to support Igor Dodon. Ceaika also met in Tiraspol where he discussed his projects with separatist leader Vadim Krasnoselski. Prime Minister Pavel Philip condemned the gesture of Igor Dodon, who in his opinion, in the chase after the political capital, forgot the limits of morality. "Someone said that Russia was involved, it was not known how, but here's the point. It's beyond the limits of morality, to use such topics to try to make your political capital," said Pavel Filip. The presidential press service has posted a comment on the institution's site where it criticizes Parliament's reaction as a sick one, and the decision to investigate the involvement of the head of state in the release of pilots is considered unjustified and politicized. Earlier, the Prosecutor General's Office confirmed that some persons deliberately held off the release of Lionel Buruiana and Mihai Crihana. The two Moldavians were taken captive by the Taliban in November 2015, after the helicopter they were aboard was shot down in an Afghan province.